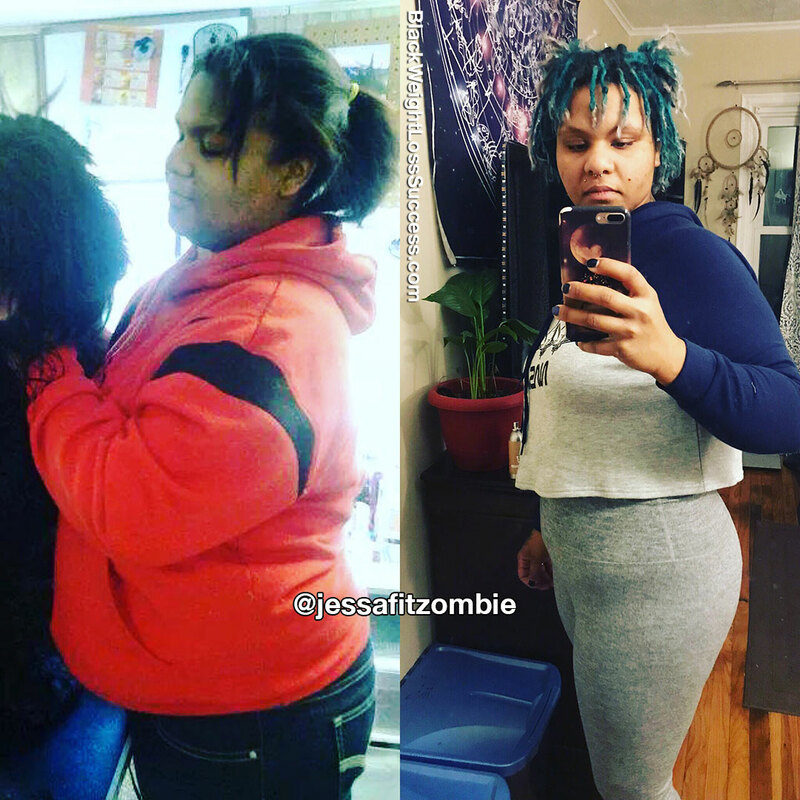 Jessica lost 93 pounds. After a string of bad decisions and some rough living, she had to find herself again and create a healthy lifestyle. She’s had some ups and downs, but she has figured out with works for her when it comes to nutrition and exercise. I use to weigh 297 pounds, after a string of bad decisions and an extremely rough way of living for several years. I got sober and moved across the country. I had to find myself again, make new friends, find an actual career, and become accountable for my children. After two years of being settled in my new home, I was finally in a place where I could focus on my body and my health. It’s been a bumpy four years, but here I am finishing strong! What was your motivation? What inspired you to keep going when you wanted to give up? My motivation is my children, and my soon to be husband/partner of eight years. I also wanted to help inspire others to do the same thing I’ve done. During my first go-about with losing weight, I ate salads three times a day. I lost 40 pounds, but when winter rolled around, I fell off because I couldn’t run on the trails. 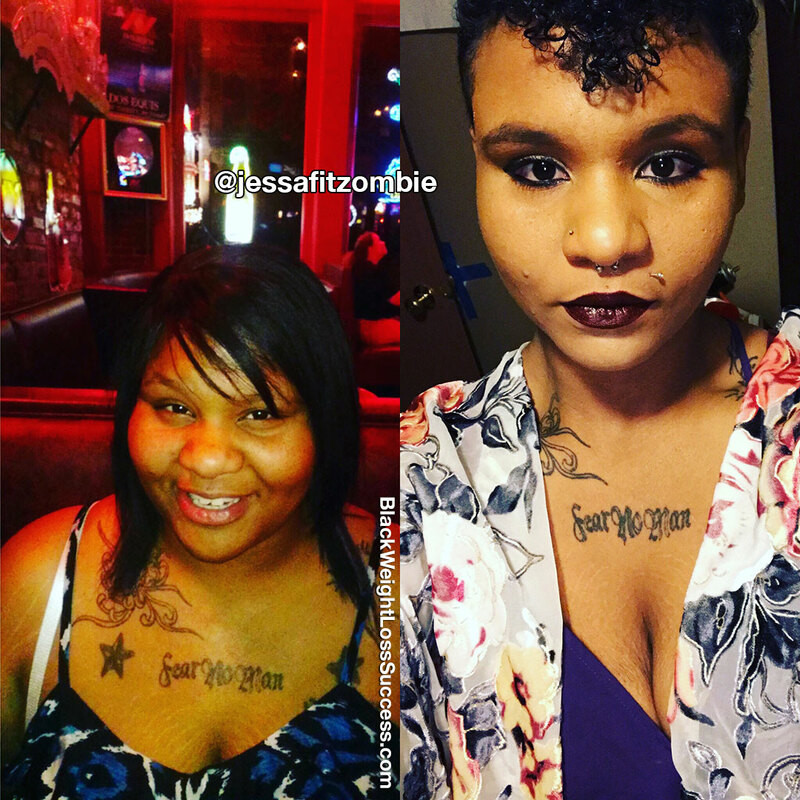 The second time, I practiced clean eating and cut out anything artificial or added. I’m using a 21-day meal plan but hope to keep it long term and make adjustments as I go. My previous routine was mainly cardio. I did 3 miles a day four days a week on outside trails and one or two days of lifting. Currently, I do 25 minutes of cardio at the gym and lift for 45 minutes until the weather is nice and I can run on the trails again. I workout every single day in one way or another. I also do yoga every night. My starting weight was 297 pounds, and my current weight is 204.2 pounds. My height is 5’5″. The biggest lesson I have learned that it’s about willpower. I have 100% control over what I eat, when I eat, when I workout, and for how long. The only thing that ever stopped me was a lack of willpower to do so. Don’t give up! Reach out to other people on their journeys. If you have people who don’t support you and don’t want to see you shine, leave that negative energy alone! Take it one day at a time.